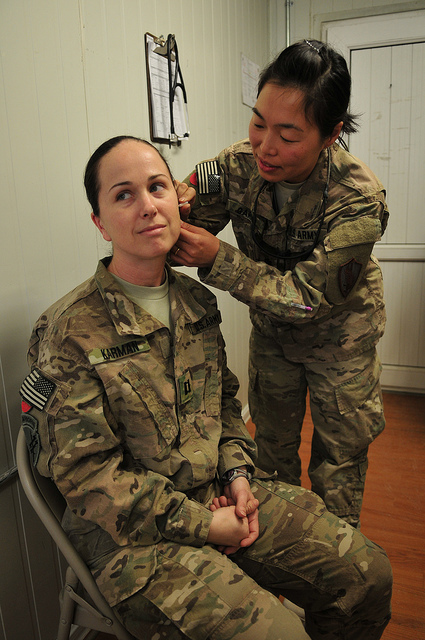 I totally agree with you but just would clarify that the needles don’t go IN the ear, per se, but in the earlobe--I had this done many years ago when I toyed with some of these altie things. I have to confess that I swore by it at the time--not for curing anything, but because it seemed that the needles in the earlobes made me very HIGH. I remember not feeling able to drive home for about half an hour after the “treatment” (which was for tennis elbow, by the way). It’s funny that I thought it worked at the time, but now I realize that I was also taking NSAID’s for something else at the time and that is probably much more likely what helped the tendinitis. I fell for all the mumbo jumbo I read so much about now. I still can’t explain the “high” from the acupunture, but the doctor (a Chinese MD who had discovered that in Oregon, insurance would pay for acupuncture done by an MD), said it was a common “side effect” of the “treatment”. He wore a white coat and had a big “meridian” chart, but did NOT use sterile technique. I now shudder at the thought of all this and shudder even more at the idea of this crap being used on an actual battlefield! 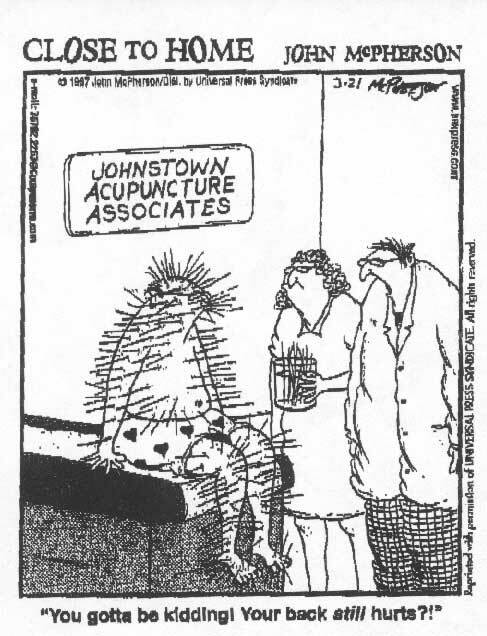 Luise: I don't know if you are an acupuncturist, but your comment reflects a common claim of the acupuncture industry. The problem is that sterile needles are not nearly enough. Any good infectious disease doctor knows that most of the bacteria that cause infections reside on our skin - everyone has bacteria all over their skin. This is why the site of a shot (a vaccine, for example) needs to be sterilized with alcohol first. Every acupuncture site would have to be sterilized - every patch of skin - in a proper infection control protocol. After 13 years practicing Chinese Medicine and 11 as an instructor, I have seen thousands of patients come and go. Number of infections due to simply entering a hospital per year: 1.7 million according to the CDC. This does does not even include infections caused by surgery which is one of the top causes of death alongside errors in medication dosing and bleed outs. As for alcohol, certainly not 100% effective due to its rapid evaporation time. This said, every licensed acupuncturist in the USA has been certified in Clean Needle Technique to decrease infection risk. From this vantage point, this practice is adequately effective. I'd appreciate a study on the competency of personnel in charge of sterilizing surgical instruments. I would venture to say that the data would be somewhat unsettling. According to an article ran in The Guardian (March 2010), 86 people have died due to acupuncture in the world over the last 45 years. Number of avoidable hospital deaths in the US per year: the CDC states approximately 100,000 deaths and an estimated $20 billion in healthcare costs. Dennis- your reply is filled with non-sequiturs and a false logic. First, people should know that acupuncturists are not required to report infections and adverse events, and generally don't. So your claims are just an anecdote from your own personal experience. We just don't have real data. Second, real medicine offers (in many cases) demonstrable benefits, while acupuncture does not. So yes, there are risks to real medical procedures, and mistakes are made sometimes. But at least there is a chance of benefit. 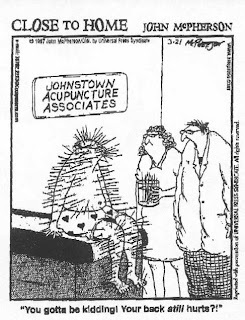 Not true with acupuncture. Yes Steven, I believe I took ownership of my personal experience of never seeing an infection caused by acupuncture over 13 years of private practice and 10 years supervising interns in community clinic settings. Not a minute sampling. As for "sometimes" make mistakes, The HealthGrades Patient Safety in American Hospitals study, released in 2010, puts the death toll at 534 per day nationwide. That's 195,000 dead people per year due to preventable in-hospital errors. I'm not even going to go into the number of infections and disabilities per year. "... acupuncture affects structures of the limbic system involved in the affective/suffering components of pain. Neurochemical studies are revealing the effects of acupuncture on neurotransmitters such as noradrenaline and endogenous opioid peptides that are associated with descending endogenous pain-modulating systems. Other neurochemical studies are exploring whether acupuncture increases nonenzymatic nitric oxide generation and the role that may play in acupuncture effects, such as inducing noradrenaline release. Clinical research is also keeping pace. A systematic review of randomized controlled clinical trials of acupuncture for postoperative pain, published in the August 2008 issue of the British Journal of Anaesthesia, demonstrated that acupuncture had clear value, that it decreased pain intensity and lowered opioid side effects. Recently, the American Pain Society and the American College of Physicians published new clinical treatment guidelines for persistent back pain that now include acupuncture as a treatment option." This list is quite incomplete. But the point being, Steven, is, as ancient as acupuncture is, your line of thinking here is even more antiquated and behind the curve. I would suggest taking a harder look at that. Dennis, your insistence that your personal experience trumps scientific evidence indicates that you don't seem to understand the nature of scientific methodology. You can claim all you like about your personal experience, but it is uncontrolled, anecdotal, and biased - and it does not support scientific claims. Then you continue to misunderstand - deeply - your mis-use of statistics about hospital deaths. People go to hospitals for life-threatening conditions, and sometimes they die. I can't believe that you seriously think you could show up, administer acupuncture, and save all those lives. It's just a non-sequitur to compare hospital deaths across all causes to acupuncture. Then you quote NCCAM's director - well, if you search NCCAM on this blog you will see that I've written about it many, many times, and done extensive research into NCCAM's promotion of quackery and nonsense. I and others have looked at the studies that claim acupuncture works better than placebo, and found those studies seriously flawed. Many other, better studies have shown that acupuncture simply doesn't work. If it weren't for all the money that you and others were making by offering this ineffective therapy, it would have been abandoned long ago. But you and others continue to promote it because you have a personal incentive to do so. That's too bad for the patients who spend their hard-earned money on it. If you were smart enough to do any research, Steven--there is more evidence based scientific research that shows acupuncture is a faster acting than any opioid.